When you want to attract people to your online business, wouldn’t it make sense to use, well, the internet? After all, it’s where people go to type in your eCommerce website. And if they don’t already know the URL, then they’ll use Google or another search engine to find your products or services. But if you’re not showing up in the search engine results pages (SERPs), then you’re not helping your online business sales. Consumers today begin their shopping on search engines, which means you need to be here. Simply put, your ranking is everything to your online business sales. If you’re not convinced your ranking in search engines matters to your bottom line, then you need to take a closer look at consumer behavior. There are a number of stats that reveal exactly how online buyers behave. 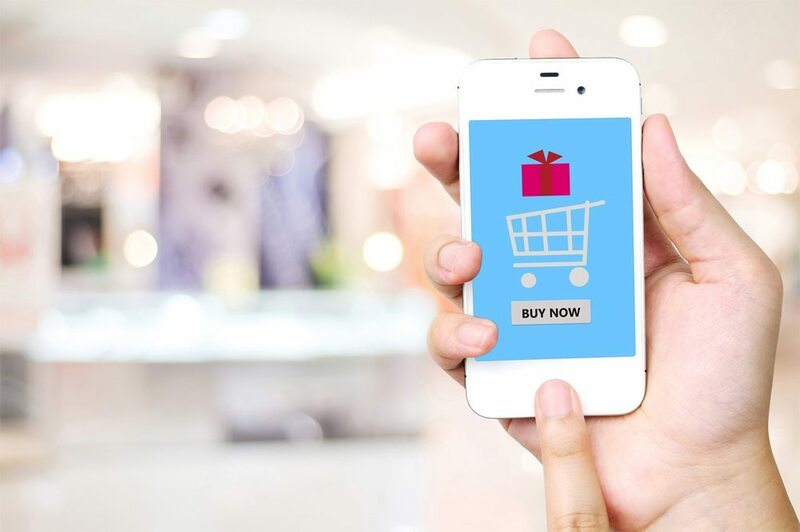 For instance, by 2021, there will be a whopping 230.5 million digital shoppers. And if your target audience is millennials – those between 21 and 35, then you have a market of over 80 million customers. This group spends an impressive $600 billion each year. That’s about 28% of all daily per-person spending. By 2030, it’s expected that millennials will make up 35% of daily spending. And guess where they’re all shopping – on the web. Majority of millennials are using desktops to make purchases and 16% are using mobile devices. But that’s only one group of people. There are many other age groups that are spending dollars online. Learning their habits and pain points are key to making your digital marketing strategy work. At least, if you’re serious about boosting your online business sales. Let’s take a look at how you can improve your ranking, so you can bring more traffic and revenue to your company. Now, there are key methods you can use to help put your online business in the SERPs. The first thing you need to do is analyze your customer base. Are you looking to attract one or more age groups? Do you have specific products that attract different customers? If so, you’ll need to create consumer profiles for each. This way, you can segment your marketing for each group. Next, you’ll need to do some keyword research. Since you’re online, you don’t have to use local SEO. However, targeting areas you know many of your customers reside can help drive traffic from that audience. You can use free tools, like Google Keyword Planner to help find the best keywords. And what are the best keywords? Those that are relevant to your product or service and has low competition. The higher the competition, the tougher it’ll be to rank for those keywords. The idea of creating blog posts and web content that’s optimized with keywords sounds like a lot of work. Why not just rake up a few dollars to spend on pay-per-click (PPC) ads? After all, it’s a quick and effective way to generate traffic to your business. But if you’re using this solely without organic search, then you’re missing out big time. Millions of people are using Google and other search engines to find businesses like yours. One way to look at it is as real estate. Spending money renting for the rest of your life is a waste of money. In the end, you have nothing to show for it. So if you lose your job, you’re right back where you started – no place to live. It’s the same with PPC – you’re doing well for as long as you have ad spend. Then once it runs out, all your ads are removed, along with your traffic. With organic search, you’re buying a house that’ll be yours forever. As long as you pay your annual hosting fees, you’ll have your content online forever. And once it starts to rank high in the SERPs, it’ll continue driving traffic to your business for free. That investment makes it worthwhile to pursue a high ranking. Keyword research and blogging are key to helping your ranking in search engines. However, it’s not the only method you can use. To further help your search engine optimization strategy, you can join social networks. Find the platforms your audience is using and create brand pages. Not only can you connect with your customers here, but you can also upload your top products to your page. Facebook and some other platforms allow you to do this. The idea is to share your blog posts on social media, so it spreads like wildfire. This will help to raise awareness for your brand, as well as drive traffic to your site. And let’s not forget the power of video. Creating video content for customers and prospects can really help boost your conversion rates. The key is to create content that attracts them. For instance, product or service demonstrations. You can also create how-tos and tutorials for your customers. Find topics that will help them make their life or business easier. For instance, tips and advice on how to do something they have trouble doing or understanding. You can use social media to learn more about the questions, concerns, and problems they have. Shed light on whatever areas you have insights on. Don’t forget to optimize your video title, description, and tags, so it shows up in the search engines. Now that you understand the importance of ranking in search engines, it’s time to get to work. There’s a long road ahead of you if you aren’t already implementing an SEO strategy. Thankfully, you can beat the learning curve by working with a team of experts. At Cymax Media, you can get professional assistance with all of your digital marketing needs. This includes web design, SEO, branding, and design. You can get a complete makeover that’ll boost your online reputation. Whether you’re looking for brand building or web development, we can help. Contact us today to see how we can improve your online business sales!